So yeah, another day down to Orchard Road for an awesome sample redemption. 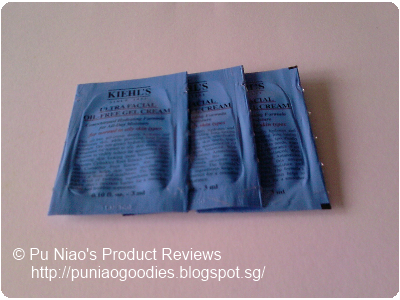 Kiehl's!! Ever since using Tea Tree Oil from The Body Shop, partly because I was "greedy" for flawless skin, I kinda sabotaged my skin condition instead. Instead of clearing the occasional on/off pimple appearance on my chin, I ended up getting weekly pimples instead. I probably should have lay off too much products on my face. Luckily, I received a sample of Royal Cosmetics EX Cream and it does look promising, so I'm going to have to try it and hopefully, it does help my skin condition. There will be a product review on Royal Cosmetics EX Cream coming up next week. Meanwhile, take a look at my goodies haul today. First up, samples from Guardian's in-house magazine, Feeling. Each quarterly issue always comes with a few samples and I seriously have been totally blind not to realize this magazine with their equally fantastic freebies exist. Short-sighted-ness definitely can kill.. I actually got swayed partly because of the Goat's milk sample, to be honest. I'm lactose intolerant and even when I drink my coffee with milk, it's a dash with lots of coffee. I can't drink cow's milk on it's own or I'll be down with stomach cramps for a while. And I've heard that goat's milk is a better alternative for people who are lactose intolerant like me. 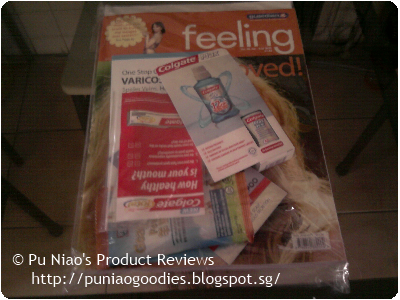 WHERE TO GET IT: Any Guardian Pharmacy outlet in Singapore. Feeling magazine are mostly stocked near their cashier counters, so it's not that hard to miss at all. And it retails for only S$1.00 per copy. Good deal! 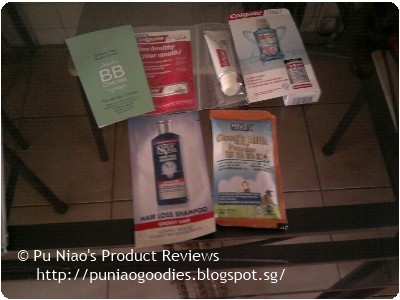 Next up, Kiehl's Singapore had a "small" facebook promotion last Saturday (13 July 2012). 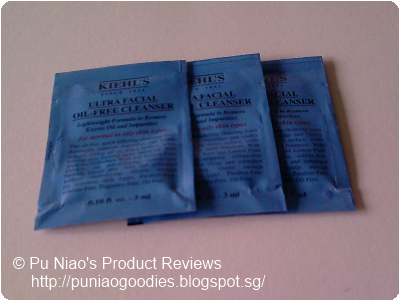 If you flashed their facebook page at any Khiel's outlet, you will be entitled to 1 week's supply of Kiehl's Ultra Facial Oil 1.2.3 sample kit. I thought I could run over to the next outlet along Orchard Road and redeem another week's worth to see if this product is worth switching to. But well, I had to fill in my particulars, and they probably can check. Guess I have to try and stretch it's use past 1 week. The lady at Kiehl's Ion Orchard branch, who fortunately had such clear and dewy complexion, told me that each satchet can last for 2-3 days. So, I should cut just a little opening. Dear old me is just going to transfer them to small plastic jars that I can buy from Daiso at S$2.00 for 2 pieces and happily stretch their use past 1 week. 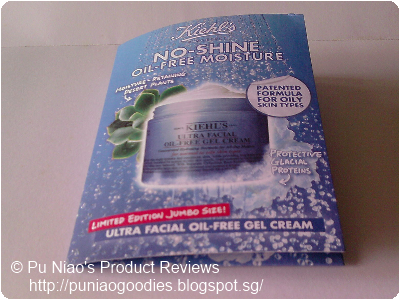 WHERE TO GET IT: Simply take a camera photoshot, camera shot or print out Kiehl's Facebook page and go to any Kiehl's outlet in Singapore. I printed out their page, although other weird updates on showed up in the print-out I handed over, the lady took it just as well. And I believe it's While Stocks Last!